Yo Ho Ho! With a nautical design inspired by The Pirates of Penzance, FPBA along with PACIFIC 33 Architects, Inc. and sponsor Arcadia took home Best Haute Couture at the IIDA San Diego Haute Couture Fashion Show on Nov. 2, 2017. The fashion show engaged interior designers throughout San Diego, challenging teams to bring to life Broadway musicals by designing costumes out of interior design materials and ultimately perform in them. FPBA’s team developed a pirate-themed look using materials from Arcadia’s furniture collection such as seating foam, strapping material and upholstery fabric. Three of FPBA’s interior designers, Sarah Brooks, Lisa Kowalsky and Haitham Dabbour, as well as Claudia Belzer of PACIFIC 33, invested hours of work into the project, meeting on weekends for daylong sessions to complete the costume and prepare for the show. 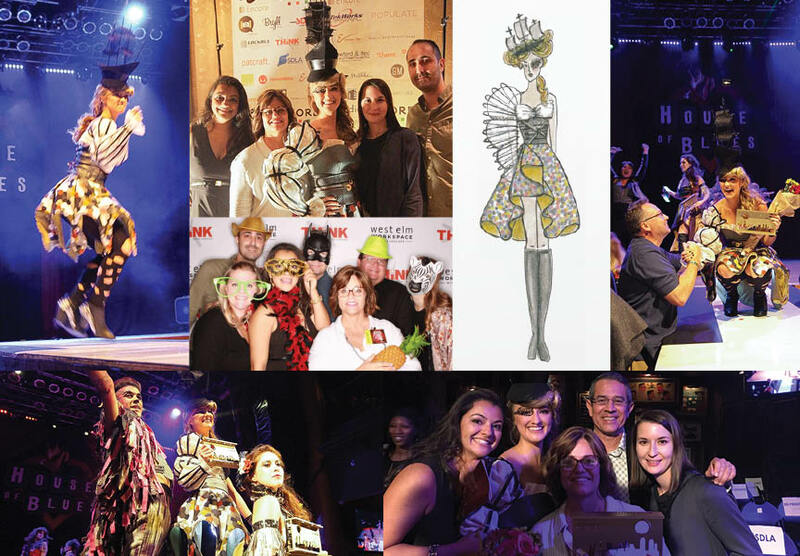 It all paid off in the end when hundreds of supporters cheered on the designers at the House of Blues in downtown San Diego. Best Haute Couture was the biggest award of the night and factored in not only the costume quality but also the design’s connection to the theme, the performance on the catwalk, and audience votes collected on the night of the fashion show. As made clear by the success of the show, FPBA’s interior designers are incredibly talented, creative, passionate and hard working, always inspired by challenges. Congratulations to Sarah, Lisa, Haitham and Claudia!